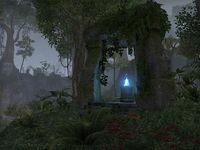 The Altmeri wizard Telacar excavated and occupied this ancient Ayleid ruin, converting it to his own uses. 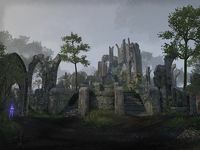 The site's original Ayleid name has been long forgotten. The Ossuary of Telacar is a graveyard in eastern Grahtwood, east of Elden Root. Ossuary of Telacar Objective: Rescue the Mages Guild explorers from the Ossuary's undead. 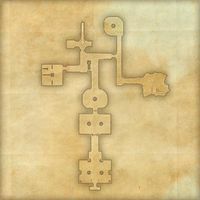 The Unquiet Dead: Free the Mages Guild acolytes trapped in the Ossuary of Telacar. This page was last modified on 19 November 2018, at 05:47.